Mission Accomplished tonight. Incinotes Team uploaded InciNotes™ Version 1.0 to Apple for Approval. 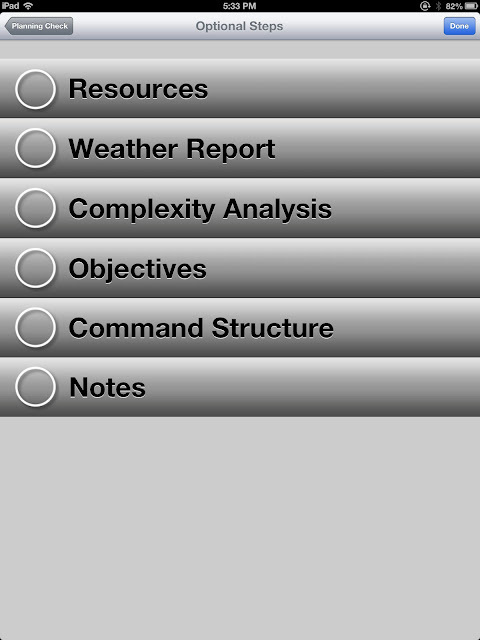 The First #ICS 201 Documentation System for iPad (#Incident Organizer). Congratulations goes out to the InciNotes™ Team. Follow InciNotes™ on Twitter. Share On Facebook! The incident operational snapshot screen gives the #Incident Commander a snap shot of the following #Incident Complexity Analysis, Safety Check Lists, Resource Status (en route, on scene, staging, work assignment, rest period and available on scene. ), #incident objectives, incident plan, hazards, incident events (#ICS 214), Current weather, map sketch and command structure. Follow InciNotes™ on Twitter. Share On Face Book. 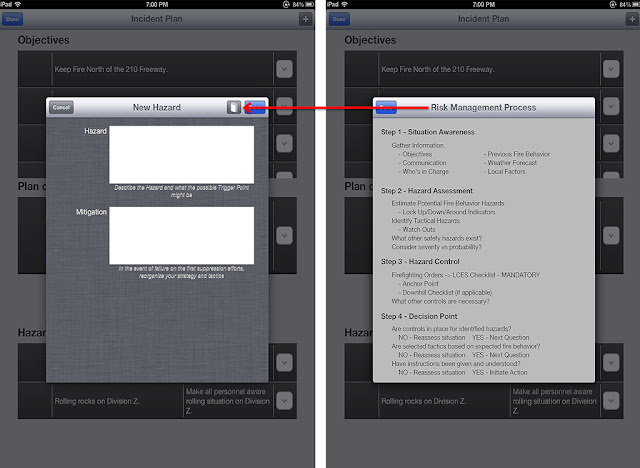 InciNotes™ The First #ICS 201 Documentation System for Apple's iPad (#Incident Organizer) is a great tool for documenting your #RX Burn projects. InciNotes™ is a great tool for #prescribed fire documentation and Event Planning. InciNotes™ can be used by the #Weather Observer to take weather readings 48 hours in advance of the burn. 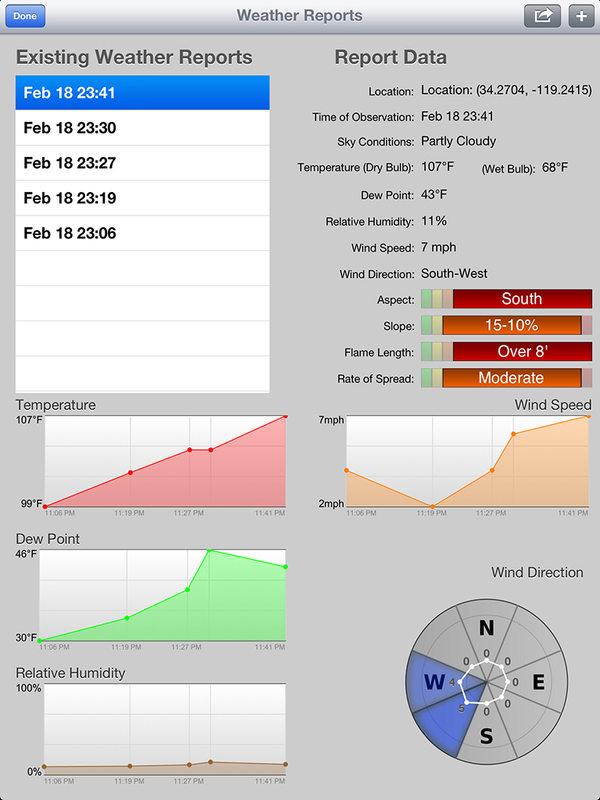 The #Weather Observer can send weather reports directly through InciNotes to #National Weather Service to get a spot weather forecast for the burn. 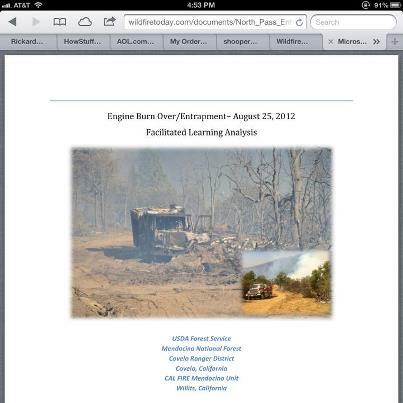 The #Prescribe Fire Manager can track all the resources; create a plan and contingency for the burn in InciNotes. 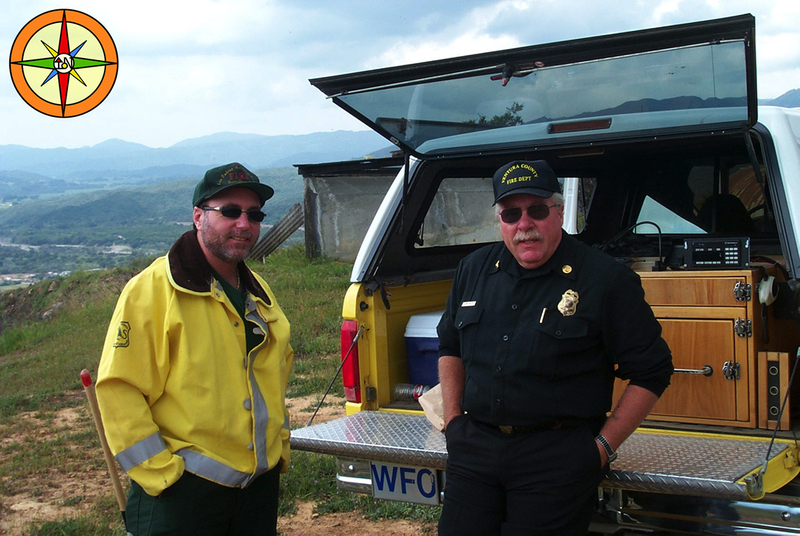 During prescribed fire firing operations InciNotes™ can be used to track weather trends and document events in the ICS 214 feature in InciNotes. The Map for the prescribe fire can be inputted in to InciNotes. Any hazards related to the prescribed fire can be documented in InciNotes with the appropriate #risk mitigation actions to alleviate the risk. The Command structure for you’re your prescribe fire can be inputted using InciNotes™ custom feature in the Command Structure for creating custom positions. 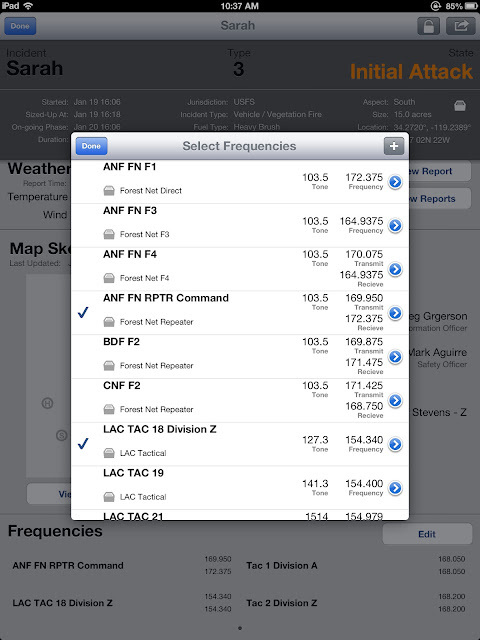 All your frequencies for your prescribe fire can be preloaded and preset into InciNotes™ Frequencies feature. 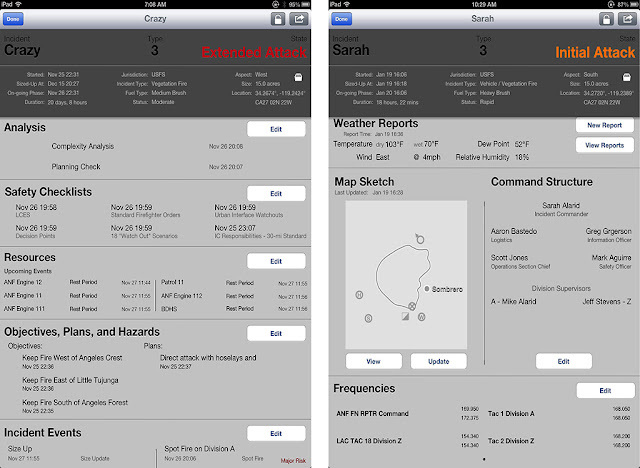 The Incident planning screen is where the Incident commander can set objectives write a primary plan of action and contingency plan for the incident based on the objectives that are set for the incident. This screen allows the Incident Commander to document all hazards and what the risk mitigation is for each hazard. 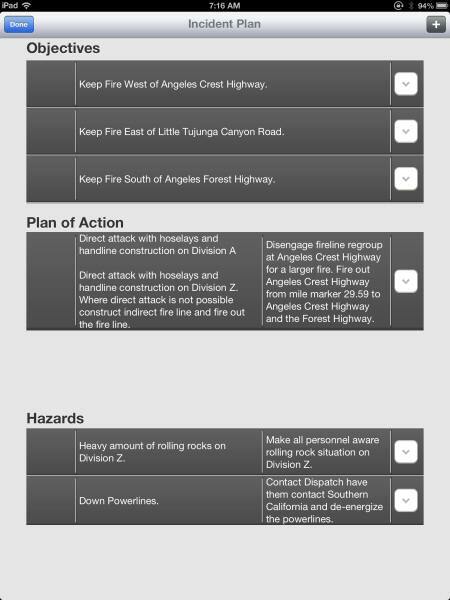 Once each objective, plan of action and hazards have been completed the Incident Commander can check them off . 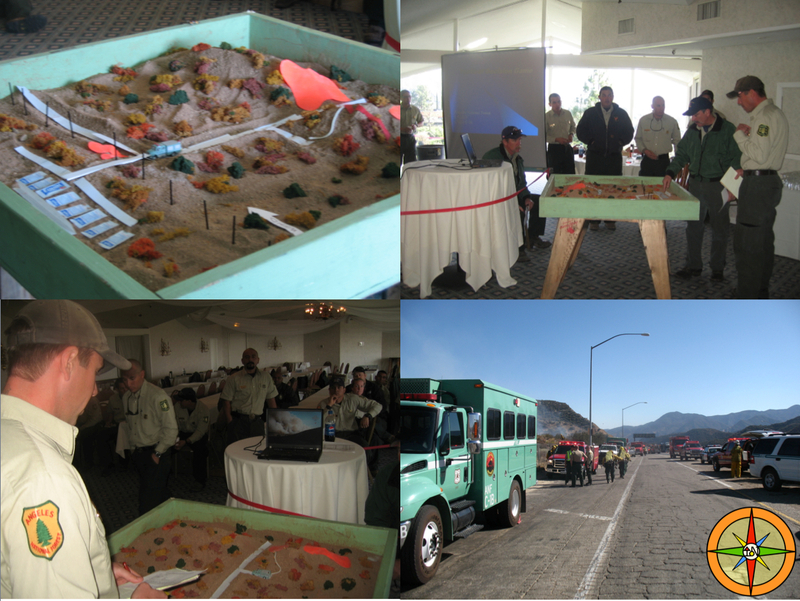 Practicing your Incident Command skills using InciNotes™ on sand table exercises will familiarize you with all the features and uses of the application so when the response goes out you can start doing incident documentation with the use of InciNotes™.